Case 11929 Black and Gold Mother of Pearl Trapper Knife. 2 blade trapper knife measuring at 3 inches. Sleek shine black, gold and mother of pearl handle. Knife is enclosed in black velvet case. 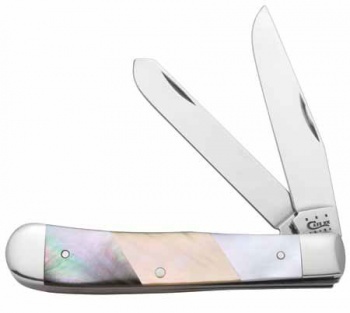 Do you own Case 11929 Black and Gold Mother of Pearl Trapper Knife? Tell us about it! Have a question? Ask!